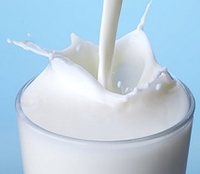 20 Aug 2018 --- Consuming milk with breakfast cereal helps reduce postprandial blood glucose concentration compared with water, while a high dairy protein concentration also reduces postprandial blood glucose concentration compared with normal dairy protein concentration, according to a new study published in the Journal of Dairy Science. The high-protein treatment also decreased appetite after the second meal compared with the low-protein equivalent. As a result, this breakfast routine may provide benefits for the management of Type 2 diabetes, the researchers say. “Metabolic diseases are on the rise globally, with Type 2 diabetes and obesity as leading concerns in human health,” says Dr. H. Douglas Goff, who led the research team of scientists from the Human Nutraceutical Research Unit at the University of Guelph, in collaboration with the University of Toronto. “Thus, there is an impetus to develop dietary strategies for the risk reduction and management of obesity and diabetes to empower consumers to improve their personal health,” he says. In this randomized, controlled, double-blinded study, the team examined the effects of increasing protein concentration and increasing the proportion of whey protein in milk consumed with a high-carbohydrate breakfast cereal on blood glucose, feelings of satiety, and food consumption later in the day. Digestion of the whey and casein proteins naturally present in milk releases gastric hormones that slow digestion, increasing feelings of fullness. Digestion of whey proteins achieves this effect more quickly, whereas casein proteins provide a longer lasting effect. Although the team only found a modest difference in food consumption at the lunch meal when increasing whey protein at breakfast, they did see that milk consumed with a high-carbohydrate breakfast reduced blood glucose even after lunch, and high-protein milk had a greater effect. Milk with an increased proportion of whey protein had a modest effect on pre-lunch blood glucose, achieving a greater decrease than that provided by regular milk. Plant-based and dairy protein trend in sports nutrition, but which will gain the upper hand?